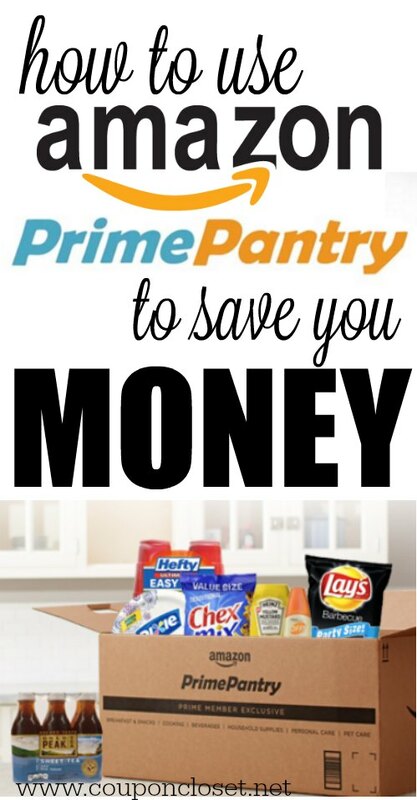 As part of our Saving Money on Groceries series, I had to talk about Amazon Prime Pantry. It is a great way to save some money but more importantly time. Who can shop on Amazon Pantry? Amazon Pantry is a new service just for Amazon Prime members. 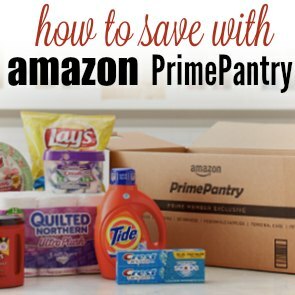 Once you join Amazon Prime (starting from the free 30-day trial) you will have instant access to the Pantry also. How does Amazon Pantry work? Amazon Pantry offers you a fast and easy way to order non-perishable items in everyday sizes (not in bulk) but you can still save. You simply click on the items you want and pay $5.99 flat-rate shipping for each box you fill (with 4-day shipping). Yes, it doesn’t matter how heavy that box is – you pay just $5.99 shipping. Pantry categories include food and snacks, cooking, beverages, household, personal care, health and nutrition, baby care, pet care. Amazon ships to the 48 contiguous states. Box size: the Pantry box is one size and a neat graphic virtually “fills” your box while you shop (each box can hold up to 45 pounds of products). When you buy one item it will show you how much it “fills” up your box, so you can get maximum experience. Most of you probably already know about Amazon Prime and the incredible savings that it provides. The shipping savings alone make this membership more than valuable enough. That said, there are parts of Amazon Prime membership that some people are unaware of. One example of this is called Amazon Prime Pantry. This awesome bonus feature is free and automatically yours to use as an Amazon Prime member. The idea behind Amazon Pantry is to provide a quick and simple way to get nonperishable items delivered right to your front door. The items come in every day sizes to minimize waste and the whole thing is super easy to use. I don’t need to tell you how much money we spend running around town these days. While gas prices have come down a little bit, they are always subject to massive spikes and valleys. This volatility makes gas prices impossible to ignore. If you are ordering your groceries from the comfort of your home, gas prices become a nonissue. When you purchase something in every day sizes, you are far less likely to have left over waste. When you use what you buy you are saving money by default. When you walk through a grocery store, there are impulse temptations all over the place. Regardless of whether you are strong enough to resist or not, we are going to slip on occasion. WithAmazon Prime Pantry, you are shopping for what you need and nothing else. Amazon Prime Pantry ships things in a very unique way. Instead of charging multiple shipping, they simply give you a box to fill up. Whatever you fit in the box will cost you $5.99. Period. 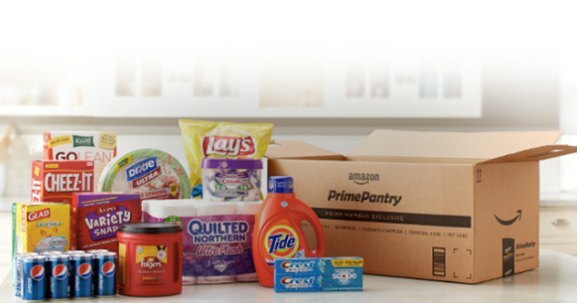 Rather than spending hours on end clipping coupons and chasing items in the stores, Amazon PrimePantry puts the coupons right there beside the items on the site. This is a great way to save quickly and not have to actually shop. It takes five minutes to shop on Amazon Prime Pantry. It takes an hour minimum at the grocery store. Clearly your time is valuable, so there are real savings to be had here. Amazon Prime Pantry is a wonderful service that should be a staple in most homes. If you haven’t checked it out yet, be sure to run over to this page and check it out.